Stocks that are cheaper aren’t necessarily cheap. Sometimes, oversold stocks aren’t necessarily the best stocks to buy. Sometimes, fallen angel stocks have fallen for good reason. But in the broad market selloff in the fourth quarter, it does look like investors dumped some good names. Housing and construction stocks, for instance, seem to be pricing in a recession. Semiconductor stocks have plunged, with investors reverting from pricing in secular growth to believing the sector is the same old cyclical story. In both cases — and in many other stocks’ cases — investors have sold first, and asked questions later. These 5 oversold stocks are among that group. And all five are among the best stocks to buy right now, particularly for investors who believe the market has more upside coming in 2019. Each stock is down at least 30% over the past year. And each of these fallen angels has a path to recover those losses — and perhaps reach new highs. It’s strange to start earnings season without Alcoa (NYSE:AA), who not that long ago led off the quarterly barrage of corporate earnings reports. But the change highlights the lower importance of the former Dow Jones Industrial Average component (it was removed in 2013). Indeed, at this point, Alcoa seems not only like a fallen angel — but a forgotten one. AA stock soared on the ‘Trump trade’ in 2017. It’s pulled back steadily since, falling by nearly half over the past year and touching a 2-year low in December. There’s reason to see a bounce on the way in 2019, however. Earlier this month, InvestorPlace’s Nicholas Chahine highlighted a strong technical setup. Fundamentally, the lower price seems to incorporate at least some of the cyclical risk here. At 8.3x forward earnings, it doesn’t take much of a change in sentiment for AA stock to bounce back. Wednesday’s report could be a catalyst for that bounce. 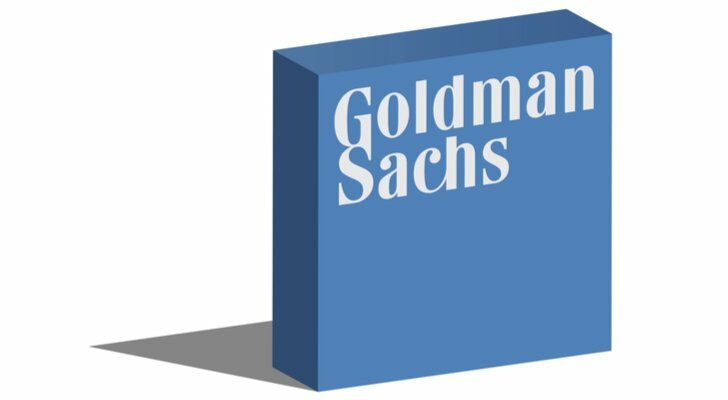 The market hasn’t forgotten Goldman Sachs (NYSE:GS), which is now one of the most oversold stocks in the financial sector. Indeed, it’s paying close attention — but it doesn’t like what it sees. Most notably, the 1MDB scandal has raised significant financial and reputational risk for Goldman. The firm could be on the hook for billions of dollars in penalties. Investment banking rivals, notably Morgan Stanley (NYSE:MS), are making inroads. There are cracks starting to show in the business model; combined with fears of a downturn in the stock market (and thus corporate activity), the selling pressure on GS stock has been intense. Indeed, Goldman stock, like AA, hit a two-year low in December. But there’s a contrarian case that GS is one of the best stocks to buy in the financial sector right now. Valuation is low: most notably, GS stock trades at a discount to book value. Even assuming the company had to repay the full $8 billion raised by 1MDB – an unlikely outcome — it would still trade at a modest premium to the net value of its assets. For a franchise like Goldman Sachs, even with concerns elsewhere, that seems far too low. And as 1MDB works itself out, and investors settle down, I expect GS stock to start moving higher — and likely at least past $200. 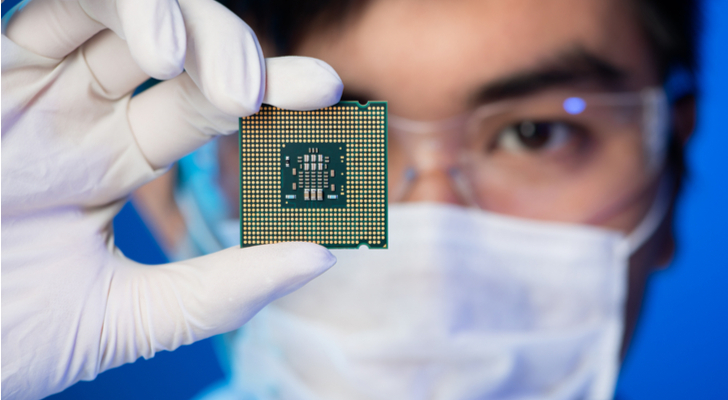 As noted, chip stocks had a rough run of it in 2018, and equipment manufacturer Applied Materials (NASDAQ:AMAT) was no exception. AMAT stock is down 35% over the past year, and off 46% from its 52-week high. The decline has come mostly from a change in expectations. As I pointed out early last year, bulls started to believe that so-called ‘semicaps’ like Applied Materials and Lam Research (NASDAQ:LRCX) weren’t cyclical anymore. With so many drivers of multi-year chip demand — Internet of Things, cloud services, increasing automotive content — the ‘boom and bust’ nature of chip manufacturing would flatten out. And AMAT and LRCX, in that scenario, would receive higher earnings multiples for more consistent profits. Instead, recent results from Nvidia (NASDAQ:NVDA) and Micron (NASDAQ:MU), among others, have confirmed that this time isn’t different. The cycle still holds. And AMAT has seen its valuation shrink as a result. But it’s shrunk to a point where that cyclicality now looks priced in. And it leaves AMAT as potentially the best play in the chip space, as I wrote last month. Short-term headwinds are real, but long-term trends remain intact. At ~8x earnings, AMAT is priced for a decline in profits. But if and when investors see growth return, that multiple should expand — and AMAT shares should rise. 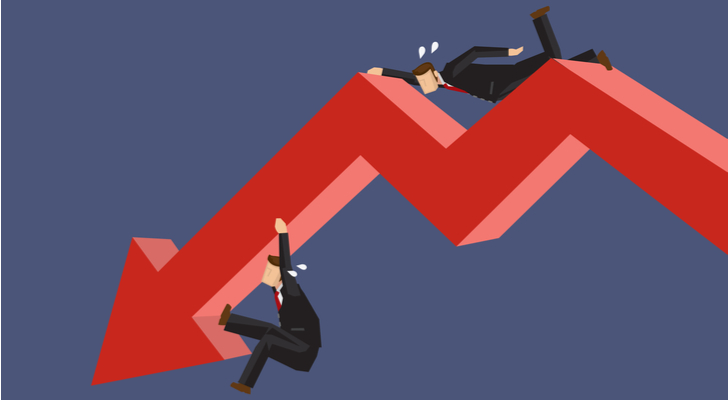 It would seem like Kraft Heinz (NASDAQ:KHC) would be among the safest of the oversold stocks, particularly after a 41% decline over the past year. Food manufacturers like KHC traditionally have been considered the best stocks to buy for investors playing defense against a risky broad market: after all, consumers have to eat. But this isn’t a low-risk play, as that 41% decline proves. Kraft Heinz has a heavily leveraged balance sheet. The consumer packaged goods space is seeing intense pressure. 3G Capital is selling down its stake in KHC. The ‘set it and forget it’ case for a stock like KHC isn’t there the way it was a decade or two ago. That said, near the lows, KHC might be worth a flyer. Debt should be manageable given strong free cash flow. The dividend yields 5.5% (though a cut isn’t out of the question). A 12x forward multiple means the stock is pricing in basically zero growth. And Kraft Heinz could look to make a acquisition — Campbell Soup (NYSE:CPB) long has been rumored, though that looks like a bad deal — or consider selling assets to strengthen the balance sheet. Again, there are risks here; KHC isn’t a safe stock. But for investors who understand those risks — and aren’t just buying for the 5%+ dividend — there’s a “buy the dip” case here. United Rentals (NYSE:URI) has taken a beating as fears of slowing construction have risen. The stock is down 39% from early 2018 highs, and touched — you guessed it — a two-year low last month. Here, too, it looks like investors are pricing in a quick cyclical reversal: URI trades at just 6.2x next year’s earnings. 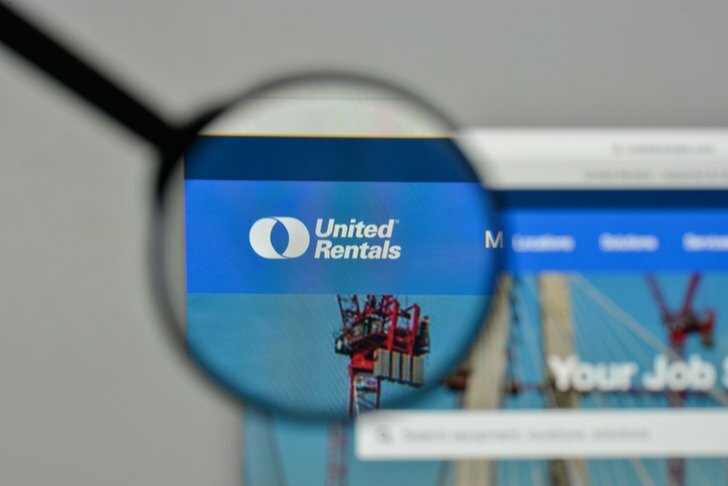 Yet the company gave strong 2019 guidance last month, which may have put in a bottom for United Rentals stock. Article printed from InvestorPlace Media, https://investorplace.com/2019/01/5-fallen-angel-oversold-stocks-to-buy/.